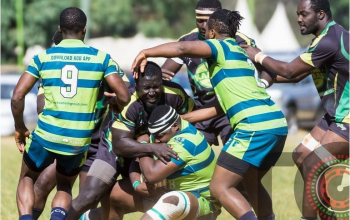 Prinsloo Sevens champions KCB have named a much changed squad as they head out to Nakuru to defend the title they won last year by seeing off hosts Nakuru RFC 29-5 at the Nakuru Athletics Club (NAC). From the squad last year just five players will be making a return; Samuel Asati, Ahmed Shaban, , Michael Kimwele, Isaac Njoroge and Elphas Otieno. With Amonde Andrew out for the Sevens World Cup and Owilah Martin, Chenge Davis Mukidza Darwin and Ojee Jacob with the Kenya Simbas, new firepower has had to be called in. Those in the national teams played a key part in winning it last year alongside Ojema Benjamin Abeka Stafford Nato Collins, Owira Arthur and Wanjala Michael. In their absence comes in Peter Waitere as captain, Brian Omondi, Collins Wanjala, Edwin Otieno, Vincent Onyala, Jeff Okwach and Francis Muita. Former Kenyatta University stalwarts Mark Oganyo and Moses Begi are part of the travelling party as well as Maurice Otieno, Brian Sinei, Jeremy Matata, Sumba Saidi, Eric Okoma, Eric Gitau and Conrad Ouko. 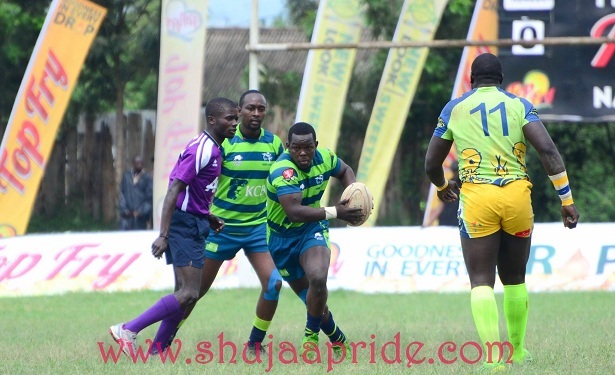 They all come on for Enock Makinga, Simon Ngugi, Eric Ombachi, Joseph Akiruga, Charles Kanyi, Brian Amaitsa, Allen Katoni, John Juma and Henry Fullbright who featured at Prinsloo last year. 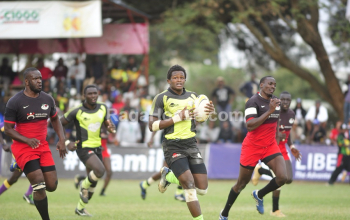 Last years finalists Nakuru RFC has named a changed lineup for their home event. Absent from last years set up is big hitting Oscar Ouma, Kenya 7s star Nelson Oyoo who is out in San Francisco for the Rugby Sevens World Cup, Leslie Ochieng, Brian Maina, Kelvin Kioko, Martin Muita, Cassuius Omolo and Edwins Makori. Wanyore however have the right firepower in Geoffrey Ominde as captain, Gramwel Bunyasi, Monate Akuei, Chrispin Onyango and Phillip Owuor who are in for a successive tournament. 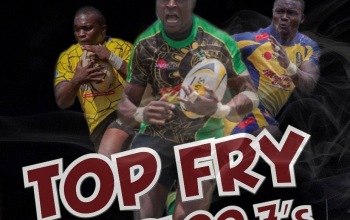 Hannington Wabwire, Steve Wamai, Henry Ayaa, Billy Kipchirchir, Charles Odongo and former Kenya 7s player Donald Aluoch have been roped in for duty.